Memorial Sloan Kettering is a premier center of biomedical research, with investigators and clinicians working together to pursue basic science and clinical research. The faculty at Gerstner Sloan Kettering includes more than 120 Memorial Sloan Kettering scientists who work in fields ranging from cancer biology and genetics to structural biology, immunology, and genomic integrity. Many are physician-scientists, dividing their time between the laboratory bench and the bedside of patients. 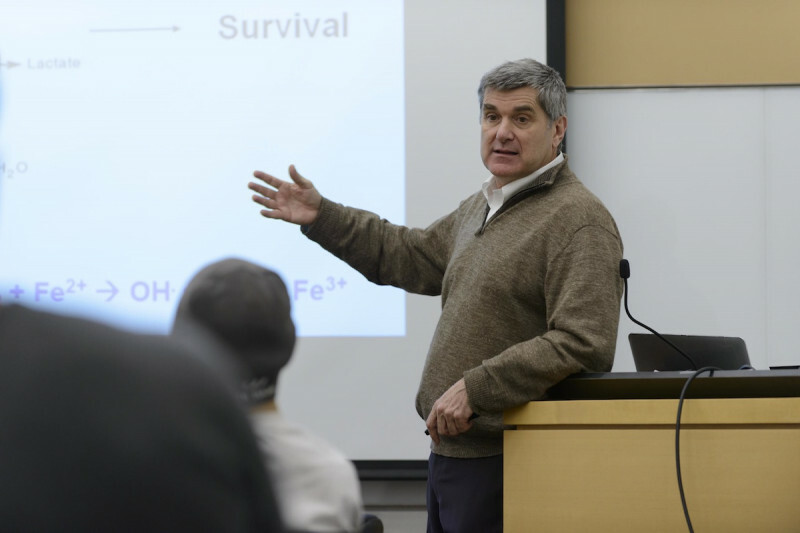 No matter what his or her specialty, every Gerstner Sloan Kettering faculty member is a nationally recognized scientist, and many have received numerous awards and honors for working at the forefront of biomedical research. Reflecting their research success, Memorial Sloan Kettering scientists currently hold more than $162 million in grant funds, with almost $122 million from the National Institutes of Health. Our faculty members are also experienced teachers and mentors. Postdoctoral fellows, graduate students, medical students, and undergraduate students are integral to the ongoing work within Memorial Sloan Kettering laboratories. As a result, faculty are eager to welcome fresh ideas and new perspectives.